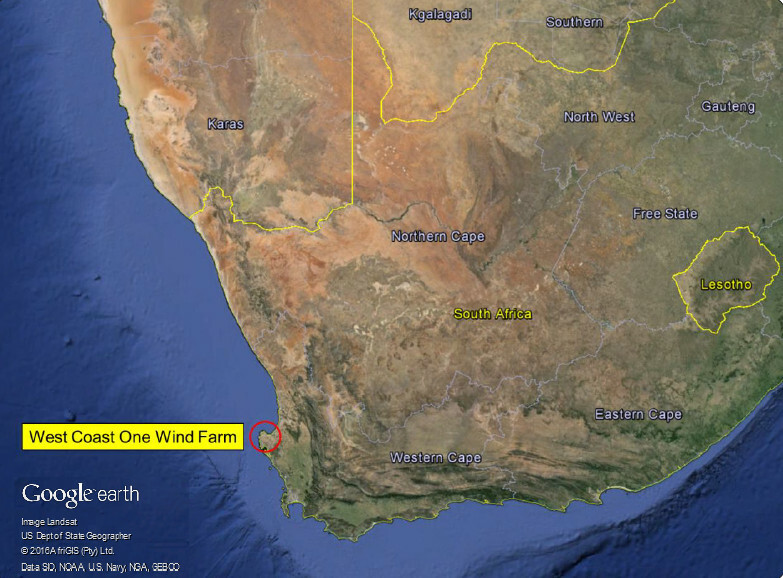 The West Coast One wind farm is located in the Western Cape of South Africa – approximately 130 kilometres north of Cape Town. The development comprises forty-seven turbines and generates a total of 94 megawatts. 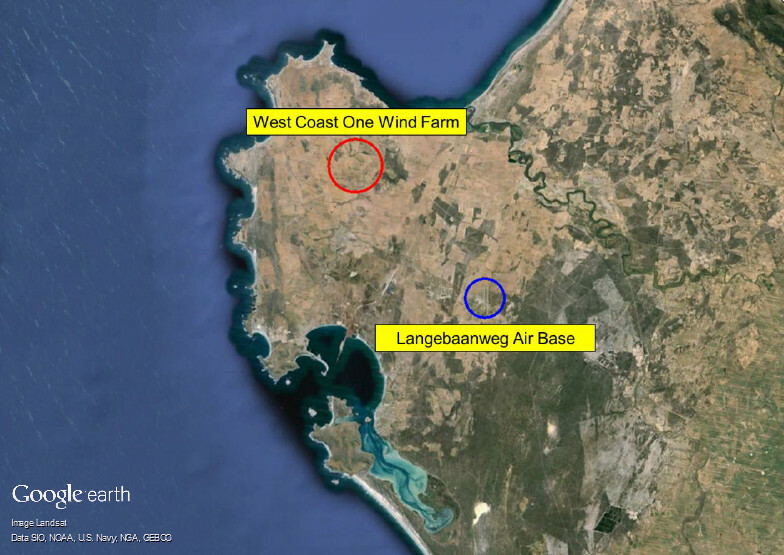 When the development was initially proposed, concerns were raised by the South African Air Force (SAAF) over potential adverse impacts on aviation, including the Langebaanweg Air Force Base. Pager Power was engaged in 2011 to conduct the technical analysis pertaining to the concerns raised by the military. Commercial wind development is relatively new in South Africa, particularly compared to Europe and North America. This has led some stakeholders, including SAAF, to adopt a cautious approach to potential impacts of wind turbines. Furthermore, the most comprehensive guidance with regard to wind turbine impacts on aviation infrastructure has been produced in Europe – very little had been produced in South Africa. Five radar installations, covering three different types of radar system. It was necessary to comprehensively model the technical impacts of the wind turbines on these systems. It was also necessary to present the analysis clearly and with reference to the most appropriate guidance. Identification/confirmation of the infrastructure to be assessed. Presentation of the wind farm details. Technical assessment – including radar line of sight, radar detectability analysis, International Civil Aviation Authority Building Restricted Area assessments. Review and presentation of relevant guidance. 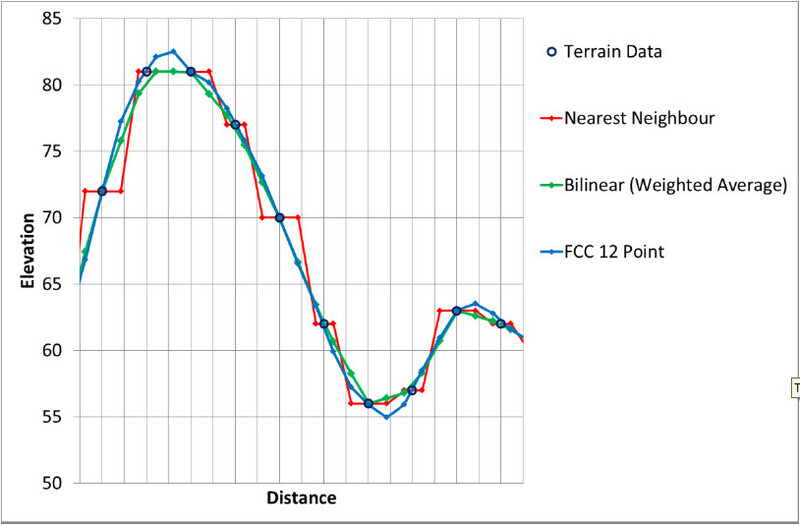 All terrain-based analysis was conducted based on the latest available SRTM data. Interpolation was based on a bilinear weighted average algorithm – which is the most appropriate option for assessment of wind farms. The figure below illustrates different ways of interpolating terrain data. The technical findings of the Pager Power assessment were presented within a comprehensive report. This report was made available to SAAF in order to demonstrate that all of their concerns had been responsibly assessed. The military was able to remove its objection to the wind farm. The West Coast One wind farm was subsequently consented and built. It has been commercially operational since June of 2015.